The title says it all – Joyce's mystery and fiction book reviews with some non-fiction too! 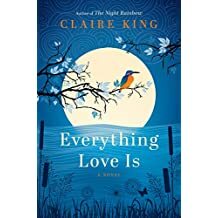 I loved this sweet, gentle and deeply moving novel. It is about an elderly French man and is narrated in both the past and present. It is a story of how we live and view our lives and how we care for each other. Characters include Baptiste who, as an infant, was mysteriously separated from his mother on a train never to see her again; Sophie, a young waitress who endeavors to keep Baptiste anchored in the world and they mysterious Amandine, a therapy client of Baptiste but so much more. This is an emotional read that I highly recommend. Please note that the illustration at the top of each chapter lets you know if you are in the present or past.